Early morning workouts can be rough. Which is why prAna made the Drey jacket supremely soft. 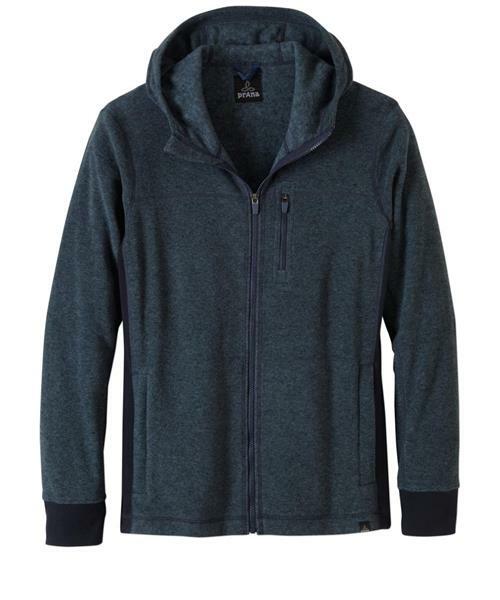 Made from a heathered polar fleece, this zip-up hoodie chases away the chill like a pro. And you're sure to appreciate how the knit side panels provide full range of motion during your runs. They've also included zippered pockets to keep your gear in check.